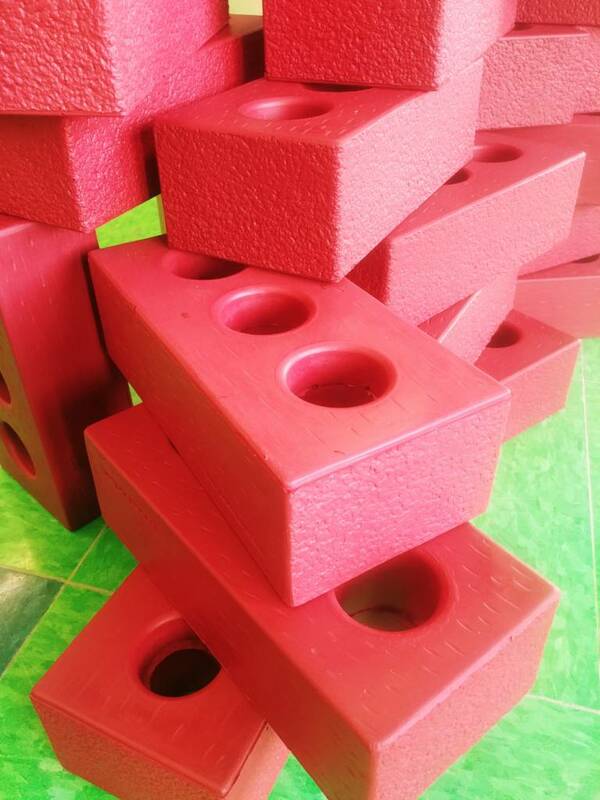 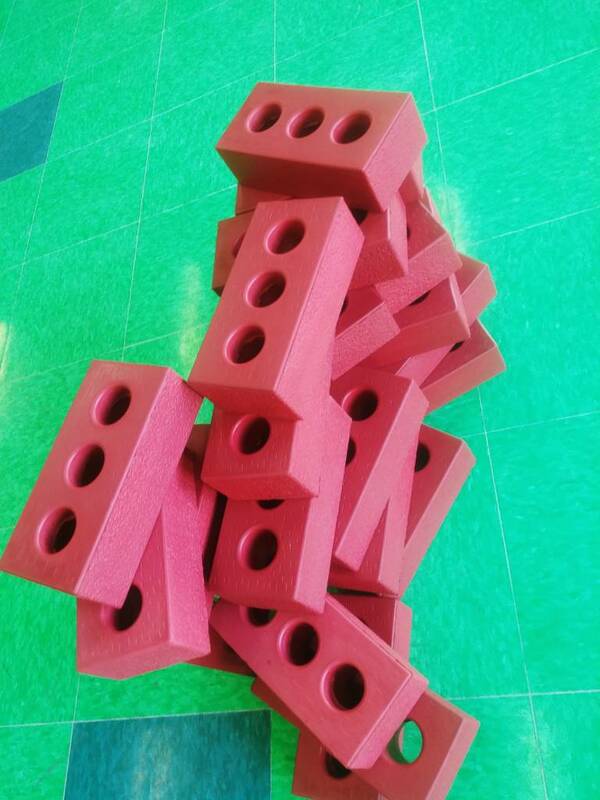 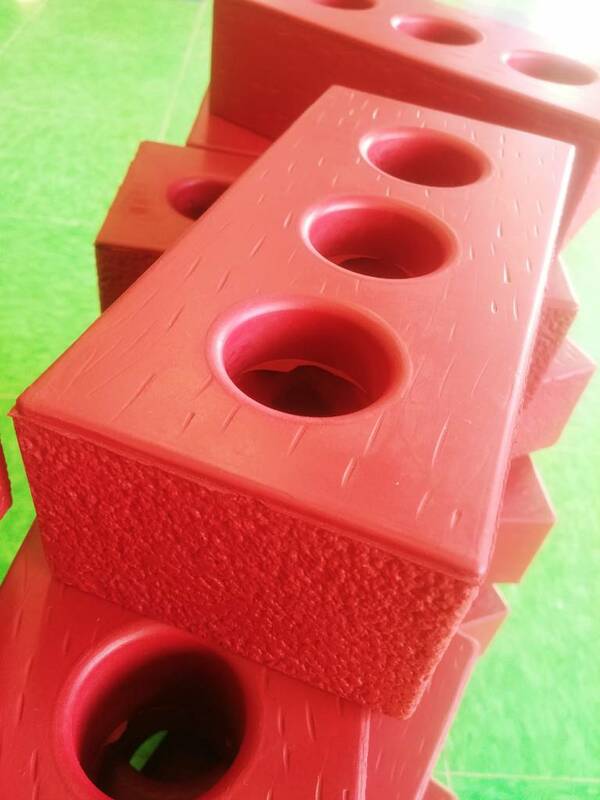 A set of bricks includes 25 realistic (PUH) foam bricks. 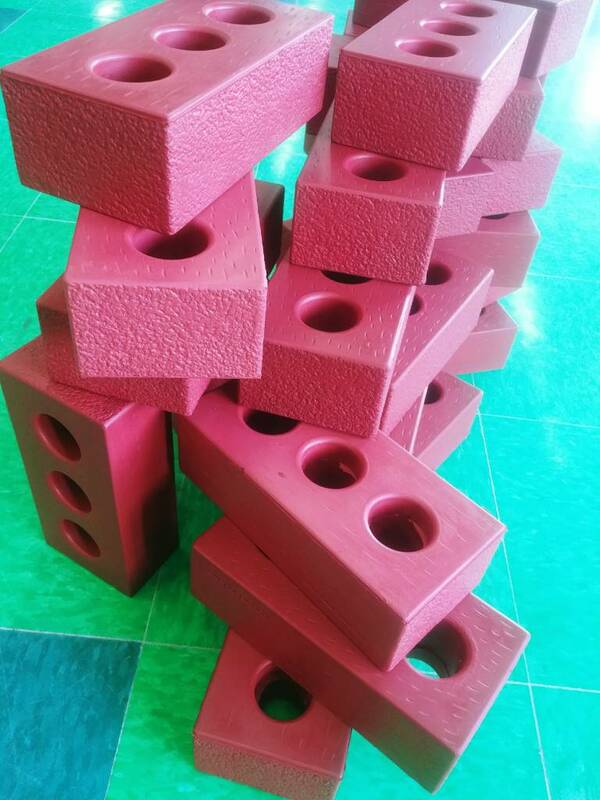 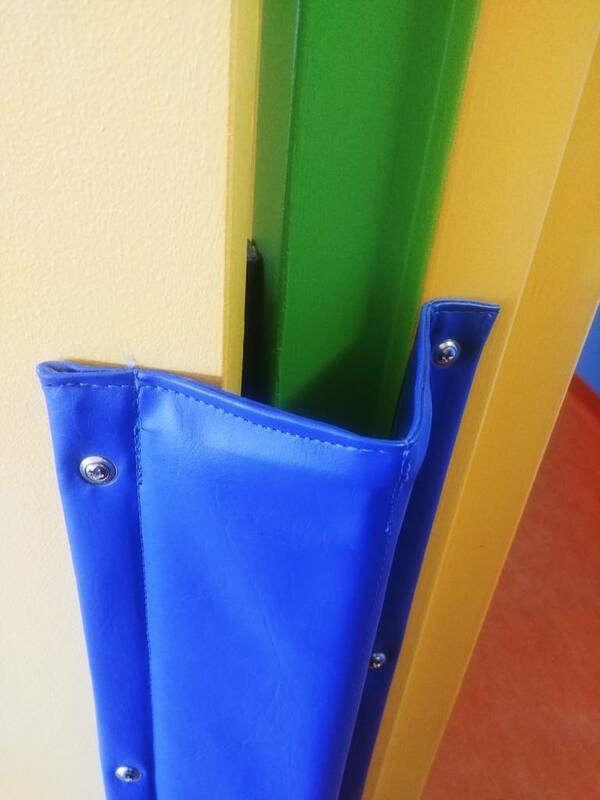 The bricks are weatherproof, nontoxic, lightweight and very durable. 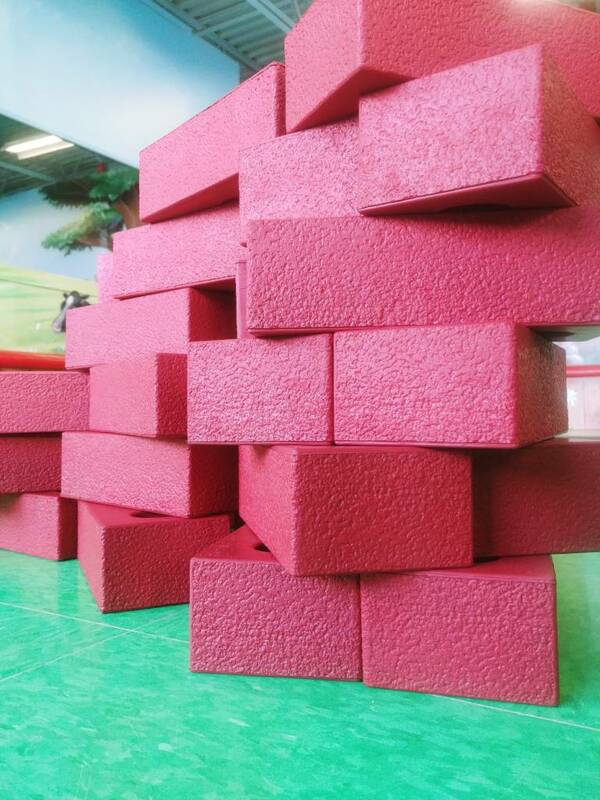 Young architects can give free reign to their imagination and build a thousand structures all more original than the others.